I’ve realised I’m a bit picky about my children’s wall art. I don’t want anything too cute, or too pastel, or too run-of-the-mill. What I want is something that is fun, and colourful, and evokes a kind of feeling about childhood that I’m trying to capture for them. Something just like this. 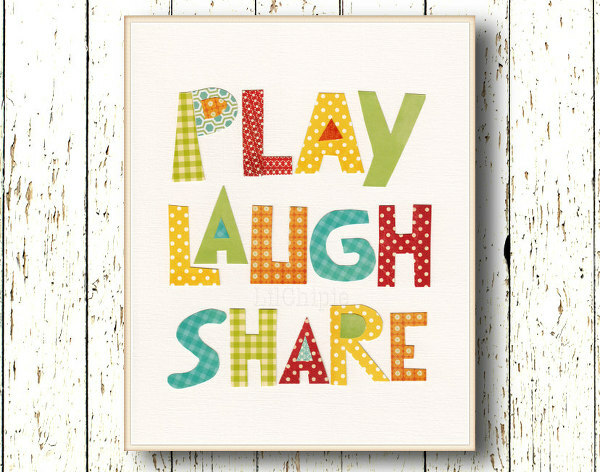 We’ve discovered a great new place to source child-friendly wall art at Etsy’s Lil Chipie and we’re pretty sure you’ll find something in their huge range that you’ll like as well. There’s plenty that’s vintage and retro-inspired in feel in a variety of sizes. 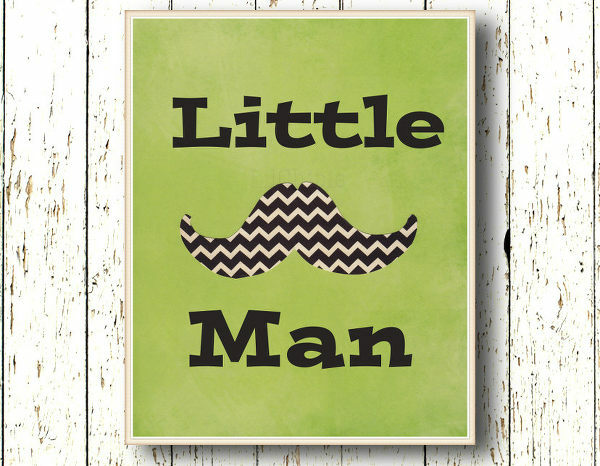 Who could fail to smile at the Little Man print (above) with its hipster chevron moustache? 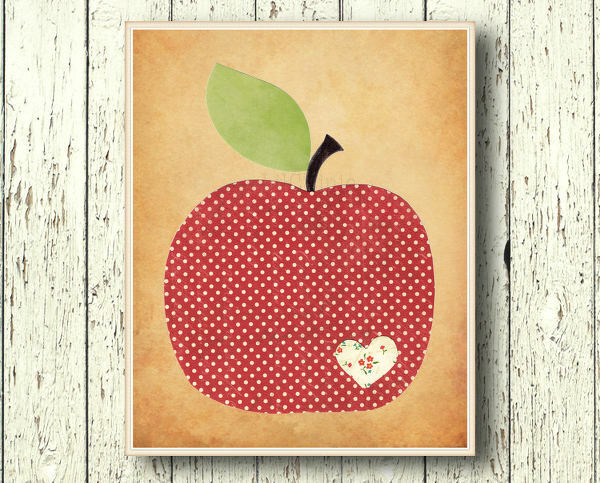 Or if an apple a day is more your style, try the Apple print (below) which would look equally good in a kitchen. All prints are unframed and available in two sizes. 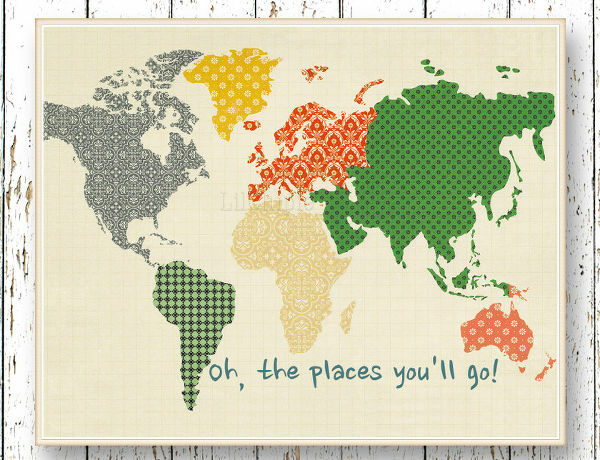 Prices begin at around $15 for the smaller size and there is a flat shipping rate of US$7 – no matter how many prints you order, so it’s worth stocking up! Visit Lil Chipie to see the whole range.